Note! After you click the address , please use Copy (Ctrl + C). 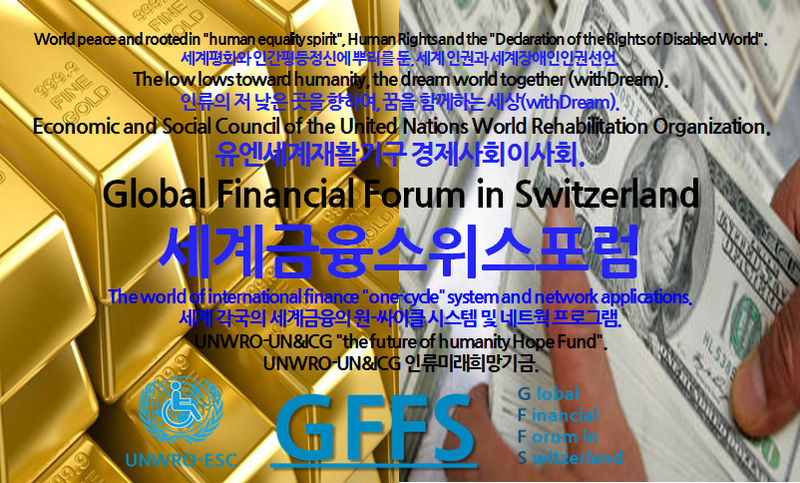 한반도 DMZ_UN WRO CITY(유엔 세계재활기구&유엔 도시) 유치._The Korean peninsula DMZ_UN WRO CITY(UN World Rehabilitation Organization&UN CITY) attract. The Korean peninsula DMZ_(UN World Rehabilitation Organization&UN CITY) attract. 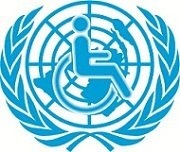 United Nations World Rehabilitation Organization(UN WRO)&United Nations urban(UN CITY) Bird's Eye View. 1. UN WRO CITY_UN WRO&UN CITY Land Mark building. 2. World Rehabilitation of Scientific Institute Kombinat_WRISK. 3. International Marine Transport Goods Center. 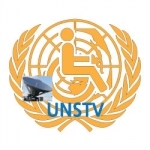 4. International Navigation Vessel Location Track Center of UN IMO(International Maritime Organization). 5. UNESCAP TAR (Trans-Asian Network) International Railway repair station. 6. The Gate of the reunification of North and South. 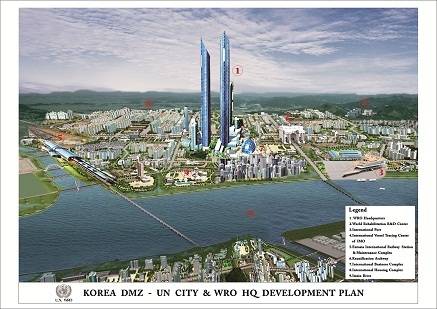 한반도 DMZ_UN WRO CITY(유엔 세계재활기구&유엔 도시) 유치. 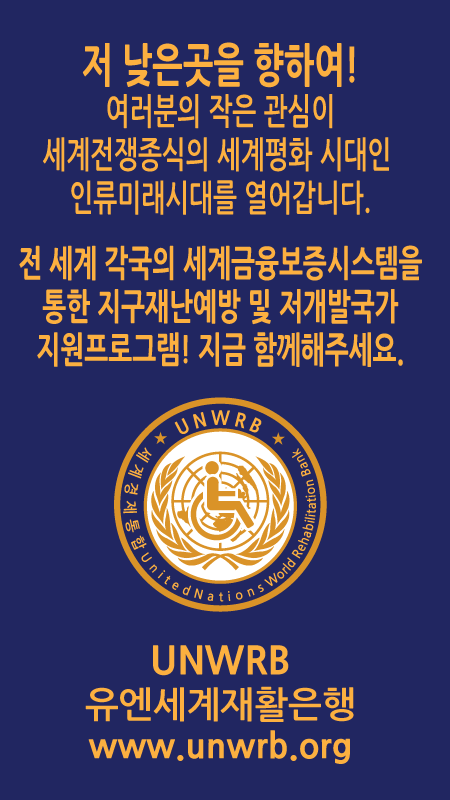 UN WRO CITY_유엔 세계재활기구(UN WRO)&유엔도시(UN CITY) 조감도. 1. 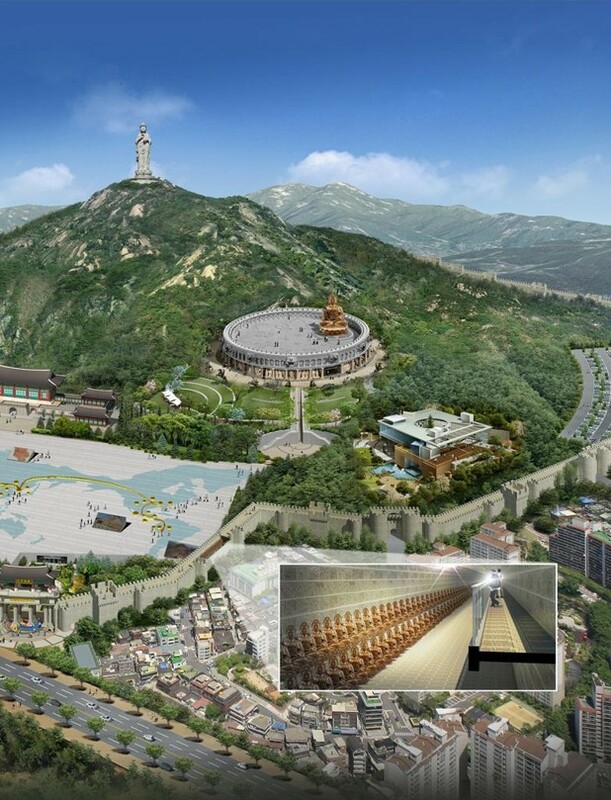 UN WRO CITY_유엔 세계재활기구(UN WRO)&유엔도시(UN CITY) 랜드마크빌딩. 4. 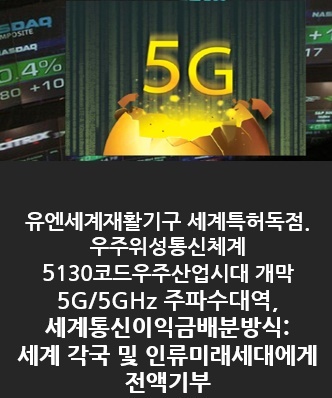 UN IMO 국제항해 선박위치 추적(LRIT)센터. 5. 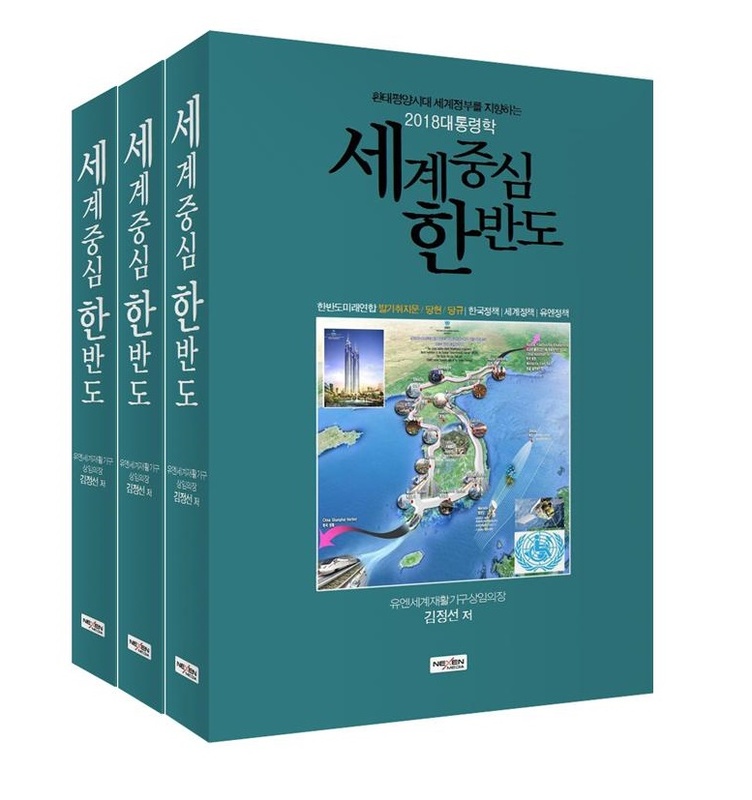 UN ESCAP_아시아횡단철도(TAR_Trans-Asian Network)의 국제철도정비역.